Families can select goals and preferences to create a customized list of senior care providers. FamilyAssets.com is a pro bono service for families from technology company FamilyAssets Group. We do not ask for personal information, we do not call families, and we do not sell their information to others. Answer a few questions to describe your goals and preferences. Receive a personalized list of senior care providers that fit your needs, ranked by quality, and compare providers based on factors like price and services offered. Select your preferred senior care providers and connect with them directly. No forms to fill out, no spam and no telemarketers. FamilyAssets.com provides comprehensive guides and eligibility tools for every senior care type and financial resource available to your family. Our guides cover health conditions, how to select the right care provider, and how to pay for care using Medicaid and other financial resources. The full range of care options from independent, to 24/7 skilled. 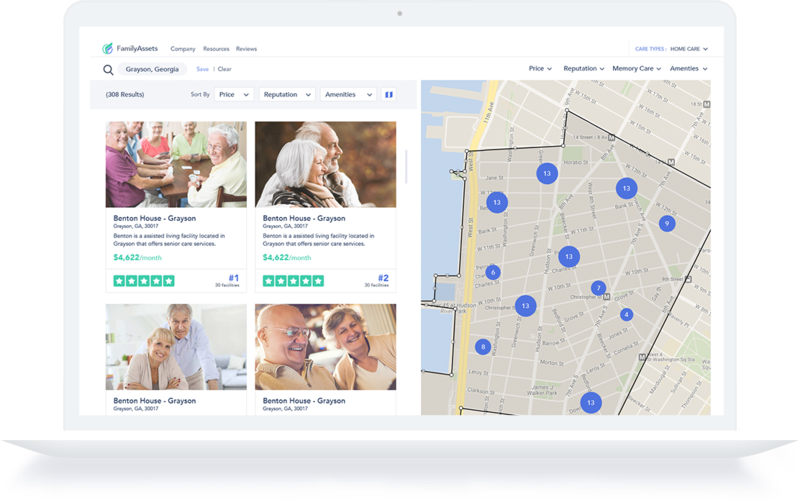 FamilyAssets has helped thousands of families compare senior care options by harnessing the power of thousands of customer reviews. FamilyAssets technology helps Senior Care Providers serve more families by building and communicating trust online. 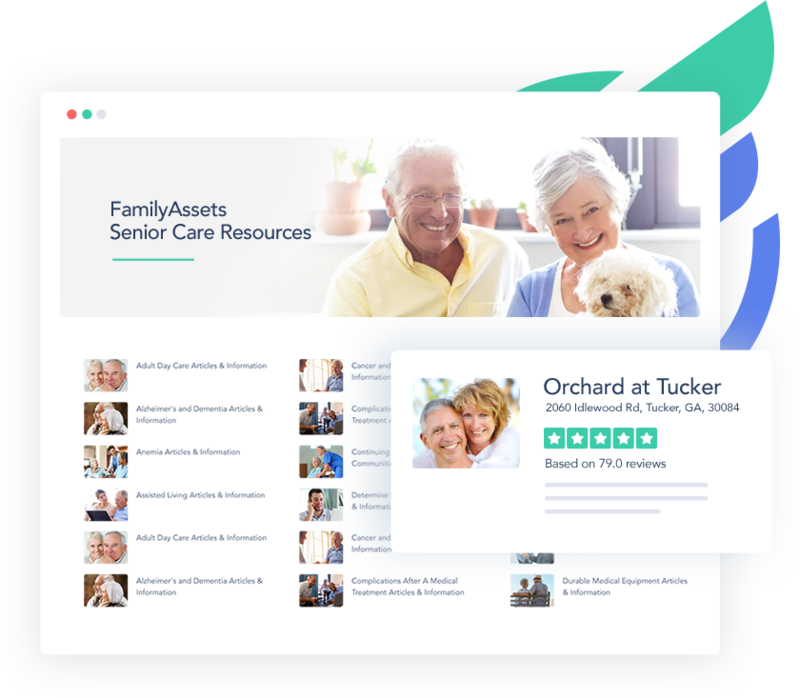 Our software streamlines customer satisfaction requests and review gathering via email, text message and phone to help you deliver and communicate a high level of senior care. Our solutions simplify the management your online profiles like Facebook, Google Places Yelp, and FamilyAssets.com through consistent information, review monitoring, and a stronger review profile. Actively managed profiles with robust review characteristics rank higher in search results, which reduces the impact of lead aggregators on families searching for your organization online. Our website technology helps you complete a great experience for your prospects online. A fast, mobile friendly and google optimized website attracts more visitors, and our industry specific engagement and conversion solutions make it easy for families to learn what they need to know and start a conversation.